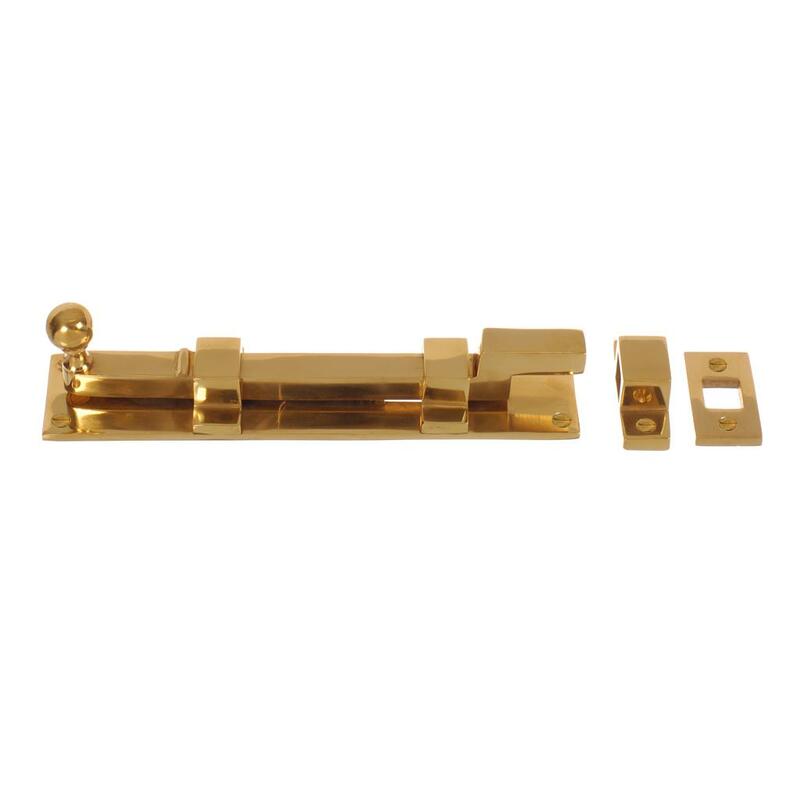 This substantial brass door bolt is stylish yet practical, it accentuates a feeling of luxury that is not visually overwhelming but will compliment any door. 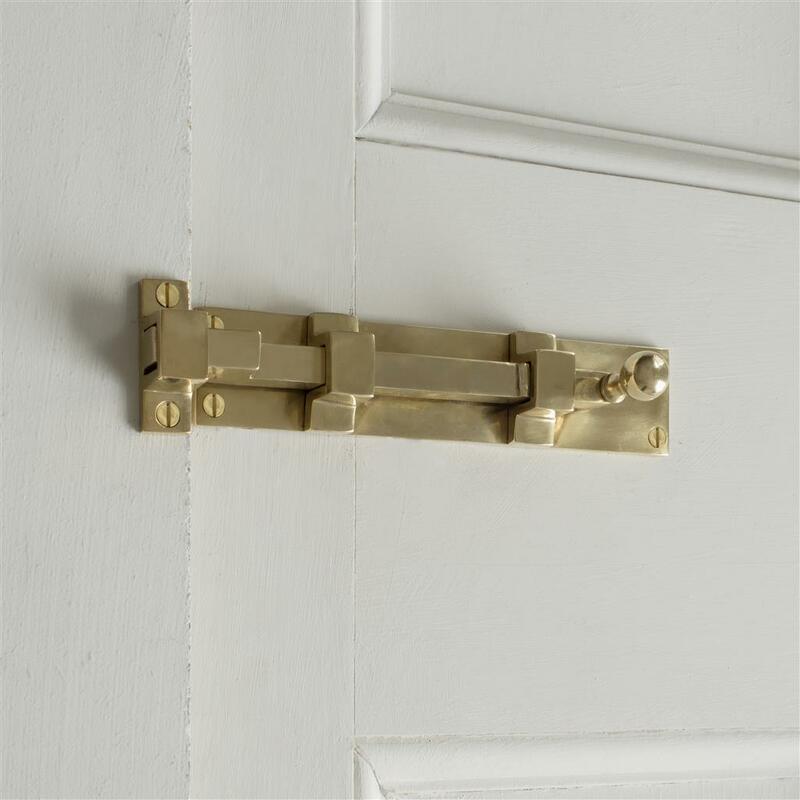 Each door bolt is hand-crafted by one of our blacksmiths enhancing a personalised effect that can only be achieved through hand-made products. 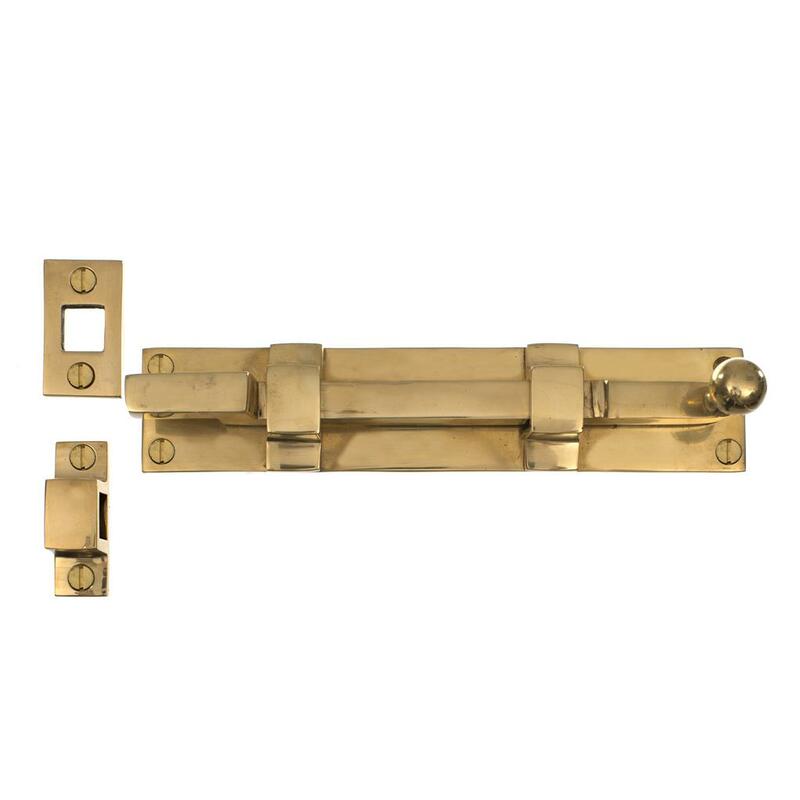 Pair with our other polished brass door furniture to create a uniformed look, finishing your room off with a timeless elegance. 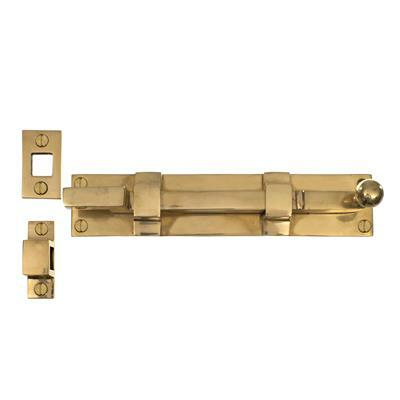 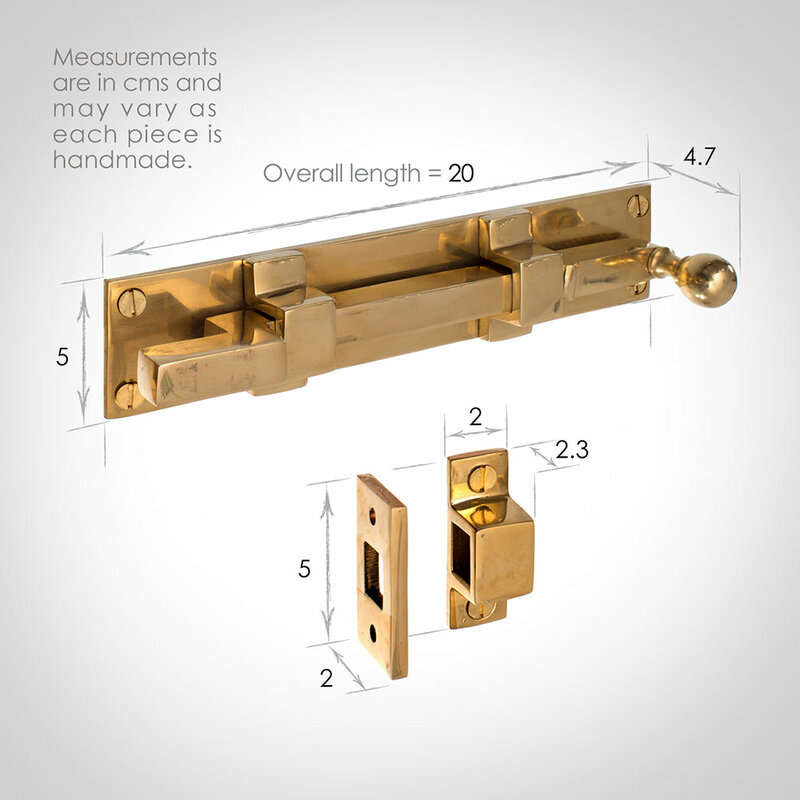 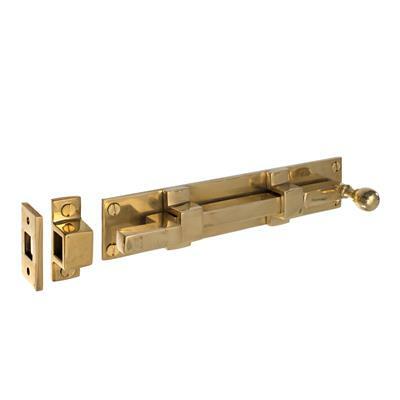 The Priory Door Bolt is available in either polished or antiqued brass. It is also available as an uncranked bolt. It is designed to be used both horizontally and vertically.